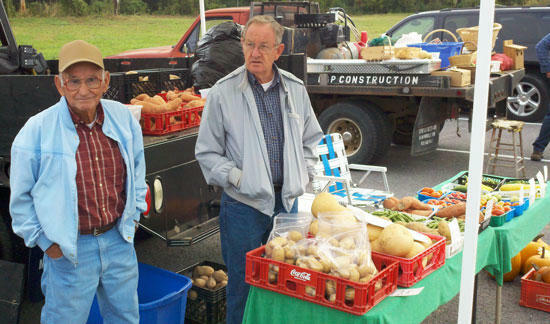 Harold Duggin and Thurman Bogle can be found every Saturday at the Cannon County Farmers Market. Along with Roy Parsley and Harold Underwood, they offer farm fresh fruits and vegetables for a delicious and nutritious meal. Okra, an assortment of peppers along with green beans, October beans, sweet potatoes and pumpkins are available. Contact the Cannon County Extension Office for more information 563-2554.